Probably the last week of October. That is when I notice ants stop foraging. A lot of our flights here actually take place in October. 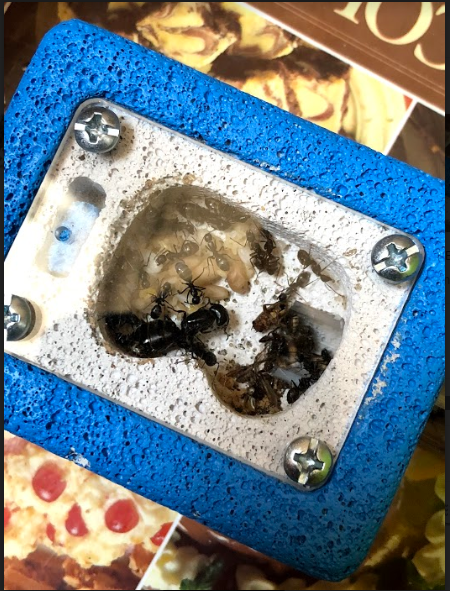 I.e Solenopsis, Myrmica, Crematogaster and Ponera. There were some mistakes in last post which can now be clarified now that I was able to see the full colony today. *We're getting another major that is close to being full size. Depending on how much larger it is than the other workers, that'll decide on if our current "majors" are actually majors and not median worker OR our one major is actually a major but just not full size due to it being the colonies first. 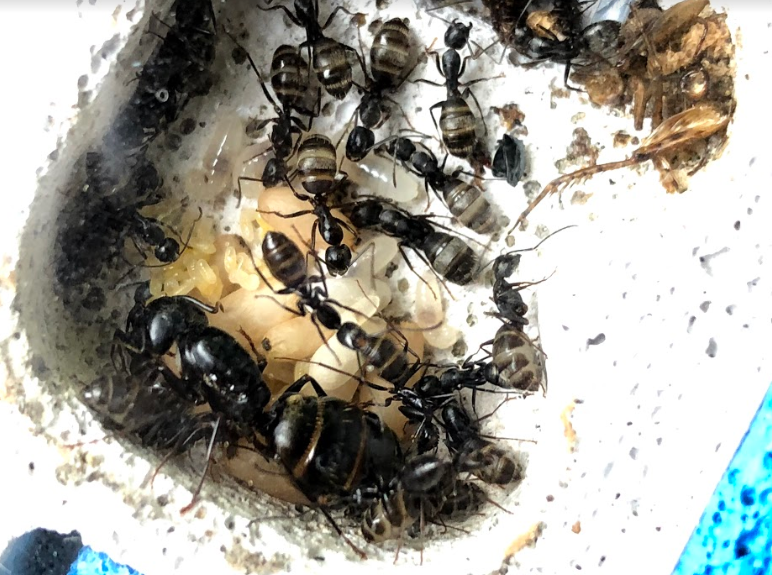 Wow my queen is taking a break from laying right now but there seems to be development on my brood so I'm hoping I can get the last few larva done before the weather here drops. There's been alot of funky weather patterns in ontario this year I don't doubt another 20+ day coming still so hopefully the weather peeks a little higher for this month but it's gonna be touch and go I'm hoping to get closer to 15+ workers before hibernation. Sure. I'll include them in the final update which will probably be coming soon. Yeah. When do you plan to hibernate all of your ants? I know mine are already slowing down but I really want to push it to the first week of November. If I start now they'll have 7 months of diapause which is way too much. Oh and I forgot! This colony has lost it's first worker (to my sight there could be more) to unknown reasons. Well because I house them in my indoor greenhouse I try to keep it set to a more American side of the border temperature. I usually stop my veggie production near the begining of November so I'm hoping I can keep the room warm enough without extra heating til mid October then begin the starting processes to put them to hibernation... but that's assuming they don't decide to do that on their own. Which would be totally cool regardless.